Since the 90s, there have been many companies that have opted for video game consoles. One of the main ones of which we can say that they changed and innovated the world of these, has always been Nintendo. From desktop consoles, like what was the SuperNintendo, the NES, among others, to the generation of today, which comes from the Nintendo 3DS to the Nintendo Switch. This is one of the most innovative consoles of recent times. It corresponds to a desktop console that also shares portable features, that is, it is a hybrid between the two. With a screen of 6.2 inches, this allows us to play our favorite games anywhere we are, always with the same quality as if we were doing it on the TV. This is not only focused for people to handle it as a laptop, but also is responsible for connecting more people. The controls that come with it can be used to play two people, that is, the console comes with two controls included. The premise that this has is to try to make it more accessible to all types of players, and not only be two people, but up to 4 people can enjoy the games at any time. What happened with the 3DS is a very different case, since this, despite its advantages in terms of communication and its online, it did not have a way to demonstrate many graphic capabilities like the Switch does. One of the most striking features of the Switch is the connectivity, because it can reach a point where 8 players may be participating in the same game, something that had never been seen in a console. This makes it acquire a value beyond the economic, but also emotional as it is a way to share with your friends. The range of games that this has is one of its strong points. Although there are no third-party developers (they are currently making games) for the moment, the games presented in its catalog are very varied, and allows not only have a fun time alone, but enjoy with friends and family , which is your strong point. In addition to this, there are many titles that will arrive soon, such as those that are the main sagas of Pokémon, as well as Super Smash Bros. This is a very secure console, currently several hackers are trying to find ways to load software from other sources and not the dedicated one. There are several attempts to hack it, since there are several security flaws in its firmware. One of the ways in which this can be avoided is by updating the corresponding updates. 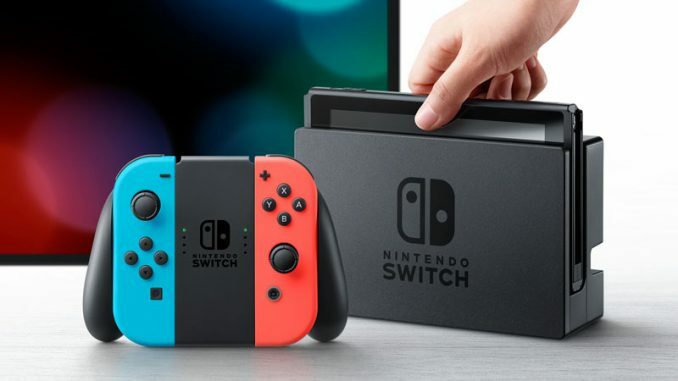 In addition, to the console that a custom firmware is detected, this will be granted a ban for life, because when doing that modification to the console they fall into a breach of the contract, so Nintendo can take the pertinent actions.